How Do I Choose the Best Edam Cheese? Edam cheese has a sharper taste than Gouda, another cheese from the Netherlands. 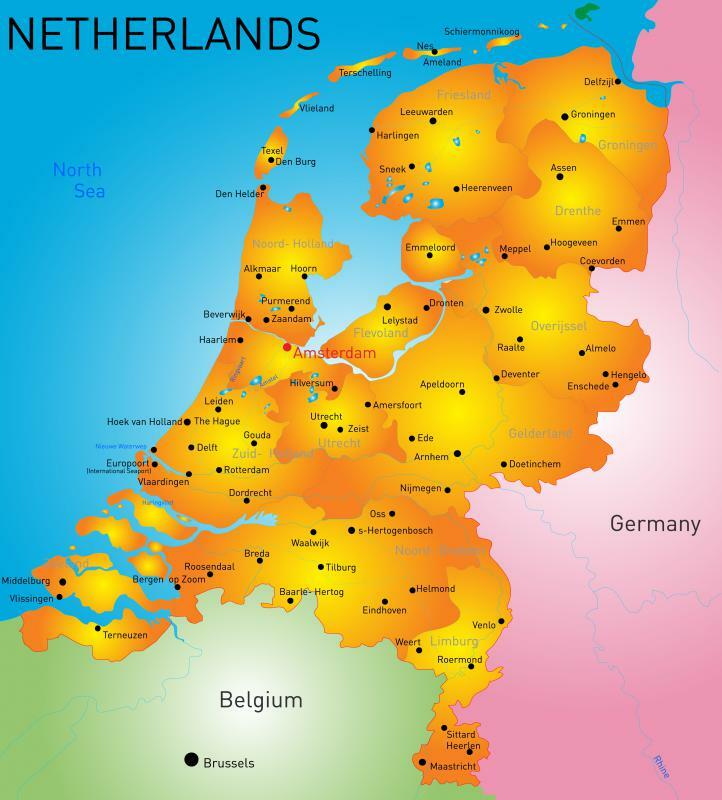 The cheese was originally made in the town of Edam, in the northern part of the Netherlands. Edam cheese traditionally comes from the Netherlands and is similar to Gouda, another Dutch product. Both are named for the towns in which they originated and are made from cow's milk, although Edam cheese is made from park-skim milk and tastes slightly sharper and tangier than Gouda. Edam is widely available in many parts of the world, with some other countries producing their own versions, although some experts believe these to be inferior in taste and quality. Edam is usually a young cheese, aged for only a few months, but there are some aged varieties that have a sharper, more intense flavor. For those who are serious about making the best choice, a cheese shop or deli with knowledgeable and helpful staff may be the best place to sample and purchase Edam cheese. One of the best ways to choose a high-quality Edam cheese is to learn as much as possible about the way it was produced. The cheese was originally made in the town of Edam, in the northern part of the Netherlands, but production has spread all over the country and even to other parts of the world. Many companies automated production of Edam in the 1960s, which some believe destroyed the quality of the cheese. There are, however, still Dutch producers who advertise gourmet-quality cheese that retains the depth of flavor that the original version had. They say that the milk used to make it comes from cows that graze in fields called damp polders, which are unique to the Netherlands and give the cheese a distinctive flavor. Most of the Edam cheese sold in the United States is young, with a mild, slightly salty, and nutty flavor and is dipped in a thick layer of red paraffin wax to help preserve it. Some people may not like the wax-dipped varieties because they can be too processed and prefer the type sold in Europe that maintains the natural appearance. Others may like the bright red color for its distinctive appearance and the visual interest it can add to a cheese tray. As with many cheeses, the taste and texture of Edam cheese can vary greatly with age, so choosing the best variety may depend on an individual’s preferences. 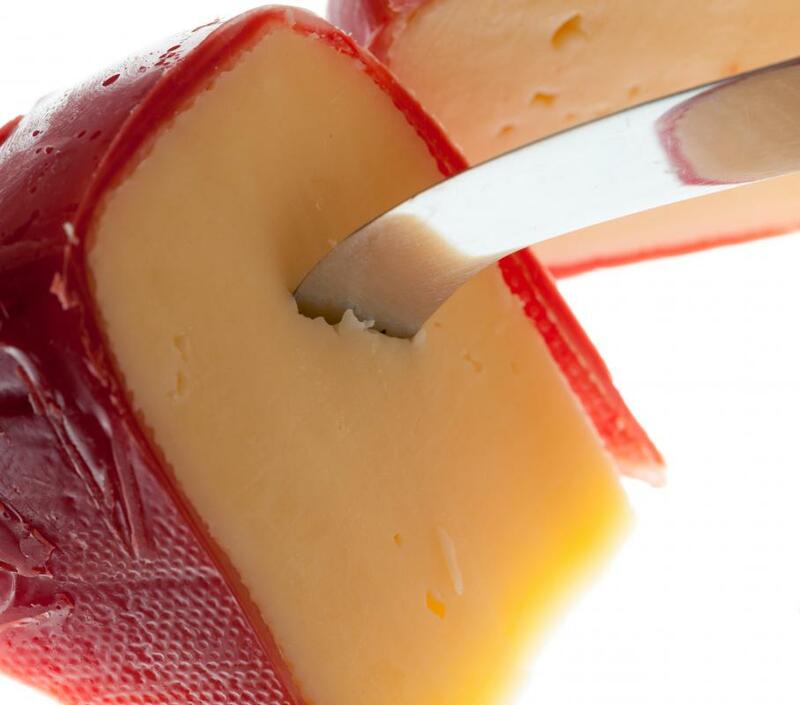 Most Edam cheese is young, aged for only a few months, and has a mild, slightly salty, and nutty taste. The texture of this cheese also makes it good for melting. The more aged the cheese, the harder it becomes, and the more intense the flavor. Those who prefer sharp cheese may want to look for aged Edam. Which Types of Cheese Rinds are Edible?